800 Lbs. 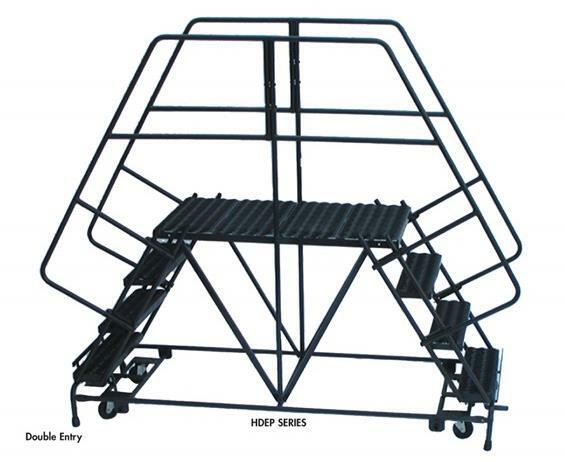 Capacity Work Platform - Double Entry | Shelving, Inc.
Two person, 800 lbs. 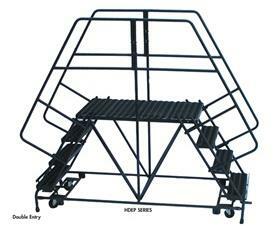 capacity work platforms with serrated grating for the toughest jobs. 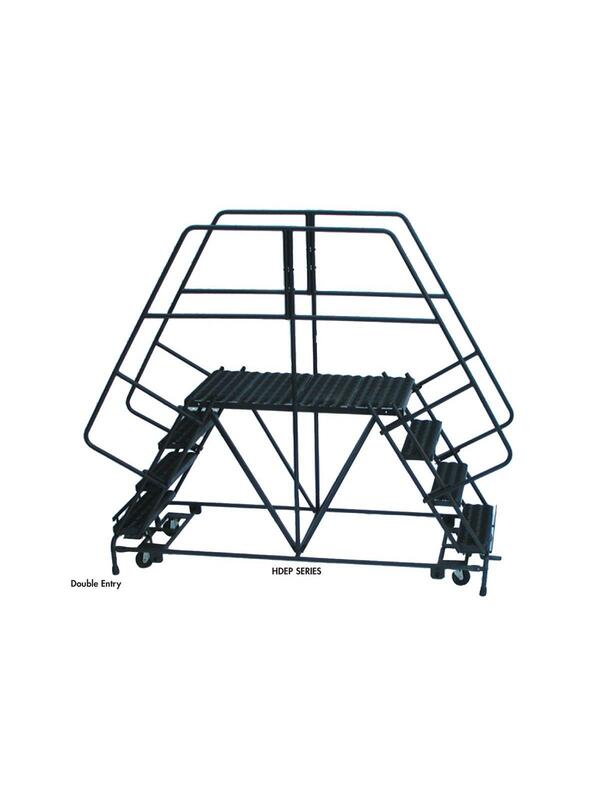 Base and frame are made of rugged 2 x 1" rectangular steel. Choice of 24" or 36" wide platforms. Pedal activated lockstep with 4" casters. Rails removed for shipping. OSHA/ANSI approved. CAL OSHA available - see HDEP-CAL-OSHA to order. Custom platforms, all welded 800 lbs. and aluminum or stainless steel available - call for pricing. Work Platforms are non-returnable. FOB Shipping Point.